Chili Powder Blend uses the kick of chili pepper along with garlic, cumin and coriander to create authentic Mexican, Tex-Mex, Indian and Asian dishes. This zesty blend adds a pep of flavor to chili, rice, mixed nuts and bean dishes. 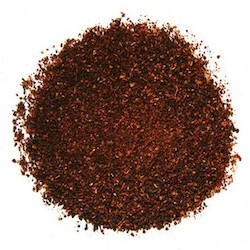 Frontier organic bulk chili powder is kosher certified and non-irradiated.